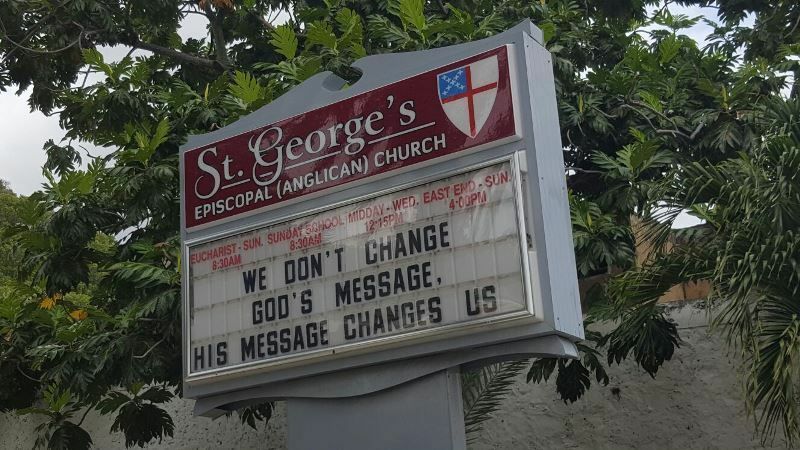 ROAD TOWN, Tortola, VI - Radio talk show host and social commentator Donald E. de Castro has alleged being threatened with blackmail by a member of the St George’s Episcopal (Anglican) Church for his agitation on issues within the house of worship. Further, he said that he is close to making to decision whether he needs to find himself another church to attend given the continued drama at the St George’s Episcopal (Anglican) Church. He was speaking on Wednesday June 8, 2016 on his talk show Straight Talk with Donald E. de Castro on ZBVI 780. “I have been on this radio station for several years. I was also on another radio station. I was on a television station. 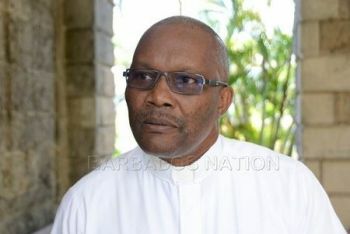 I have written quite a number of articles and I was never threatened for anything I said or anything I wrote until I decided to make public the issues surrounding the St George’s church,” he said. “...One member called me on the telephone and said to me that I should stop what I am doing and if I don’t, they know things about me. Now I have no idea what they could know about me or my personal life which would have anything to do with the issue within the church,” he said. He said that he researched the definition of blackmail and being satisfied that the threat he received fit the definition he made a report to the Royal Virgin Islands Police Force. “Because I don’t take threats of blackmail and extortion lightly,” he said. According to de Castro, the issue in the church has to be settled. He said that many people from many different denominations stopped him in the street and called him and sympathised with him on the situation. “For those of you who don’t want to understand it is a serious situation which is not getting any better. Many of us signed a petition expressing our concerns and none of our concerns were ever placed on the agenda to be addressed,” he said. “I have come to the point where like so many others I am considering finding another church to go to because it is devastating,” he said. De Castro has had exchanges with Rector of the St George’s Episcopal (Anglican) Church Dr Ian E. Rock, the culmination of which took place on May 15, 2016. For the past several weeks, de Castro has been on a campaign to bring to light issues in Barbados that allegedly concern Dr Rock, who is Barbadian. However, de Castro’s efforts became amplified when he attempted to read out a prepared statement to the congregation on May 15, 2016 following the end of the announcements and notices. “Brothers and sisters...I am going to take a few minutes of your time, not very long. But it is very important that this is done,” he commenced. Politics, Politics everywhere...I Blame the NDP! All he have to do is relocate to the anglican church in sea cow's bay. I agree Donald find another church, in fact start your own, and keep all your drama to yourself. There is no point in you continuing to worship when your agenda is to cause confusion. BVI have so many social, ecomical and political issues and here comes donald with his personal issues: long live donald!!!! they even have the spirits upset in the church. just do like me,don't go to church and stop believing into something who does not exist. Agreed - The world would be a much better place without ANY religions!! With out exception the major problems of the world are caused by organized religion; it is the most divisive force in the world and continues to support and make rich the most useless element in our society. Speak Donald, Speak; there is too much politics in this church. People need to focus on worshiping and building each other up and stop the bickering. Tired of it now. There are more serious issues. Jehovah is the final judge. Be constant in sincere prayers. This man has become a national embarrassment. Instead of fussing and causing unnecessary confusion he needs to be part of the solution. When he is not griping about the church, it is the Territory on the whole, for he appears to see everything in a negative light. All fluff and no smoke. What is he doing to better any situation? Nothing except running up his mouth chatting pure hot air. Is it that he has a problem and needs help in a bad way? I wonder! This man is giving what he cannot take. He now knows what is blackmail. So he reported to the police. Does he know what blackmail really is? Does he know that is what he is doing to the pastor of St. Georges? Be careful what you ask for. become houses of prosperity gospel. What led Mr. de Castro to feel it necessary to voice this opinion to the congregation of this church? And exactly what issues is Dr. Rock not wanting divulged to his congregation? I'm sure the Lord will direct Mr. de Castro to a spirit filled house of worship elsewhere. Those of you who truly know the Lord Jesus, please pray for these men, and for this church, for real wisdom and understanding. JOB 28:28 And he said to the human race, “The fear of the Lord—that is wisdom, and to shun evil is understanding.” God bless you. DeCastro is banging a dead horse. If he is not pleased with what's going on in the Church, LEAVE!! As simple as that, nobody have him bond or bind to the church or have him on a contract. Stroupes!! He's sickening now!